Low Iron (StarPhire) Ultra Clear Glass by PPG - no green tint! 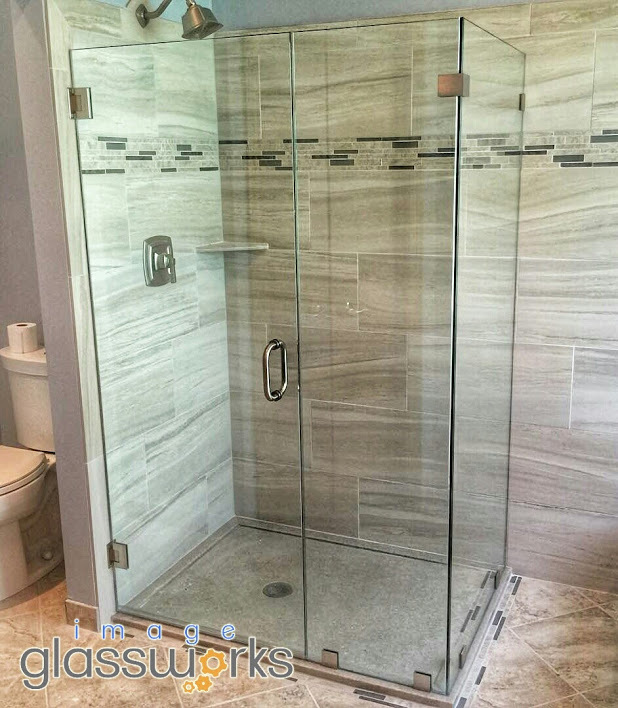 At first glance of this photo you probably didn’t even notice that there was glass installed in the enclosure. 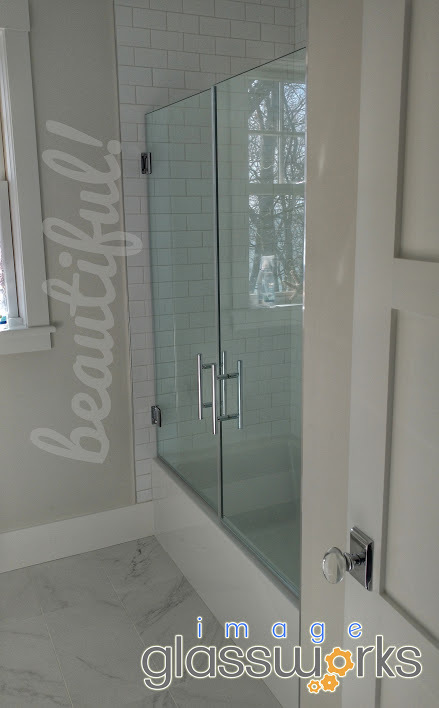 Due to the low iron glass used here, you have to look closely to see the polished chrome hardware, and the seam between the door and the notched panel. 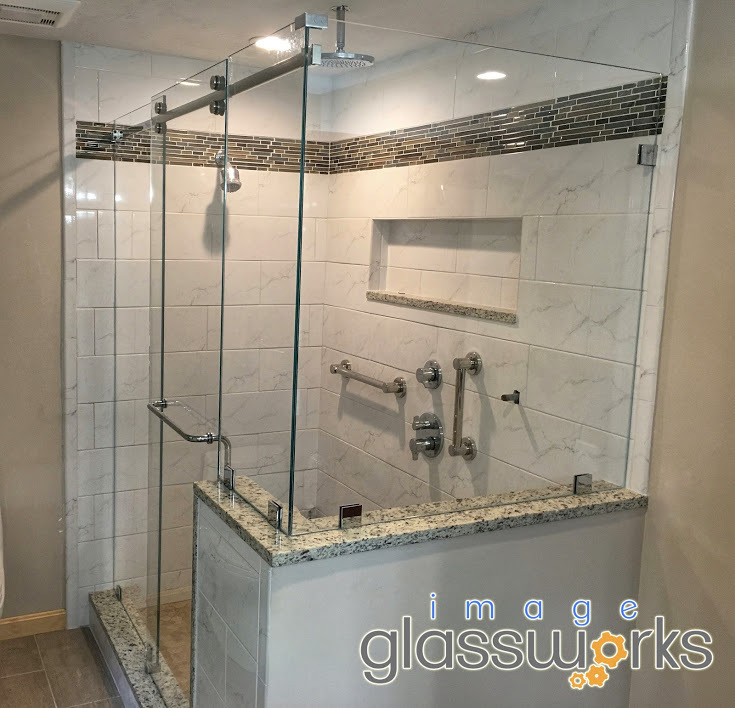 This shows exactly how choosing low-iron glass for your shower enclosure will make it clearer, crisper, and more beautiful! 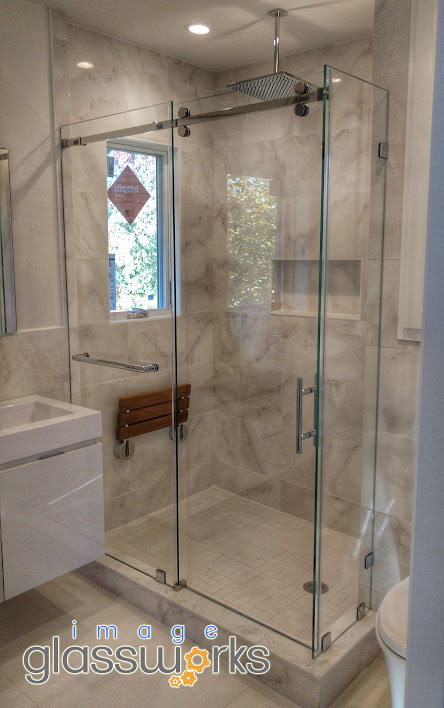 Ask yourself: How long did it take to choose the perfect tile? 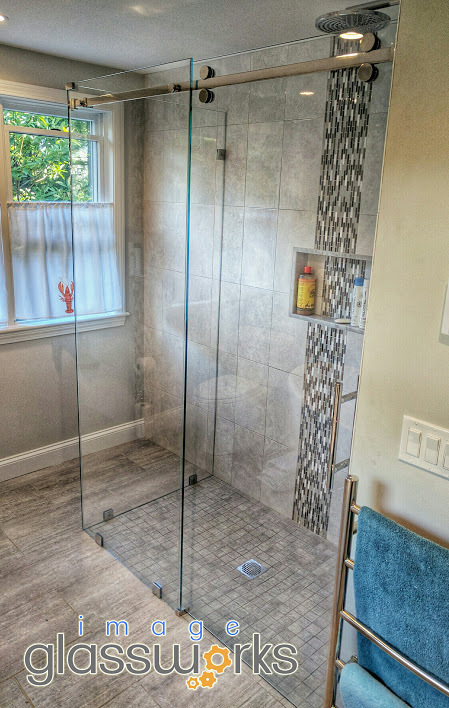 Let us guess, you spent hours in the store picking out exactly the tile you wanted for your enclosure. The perfect shape, size, and most importantly; color. 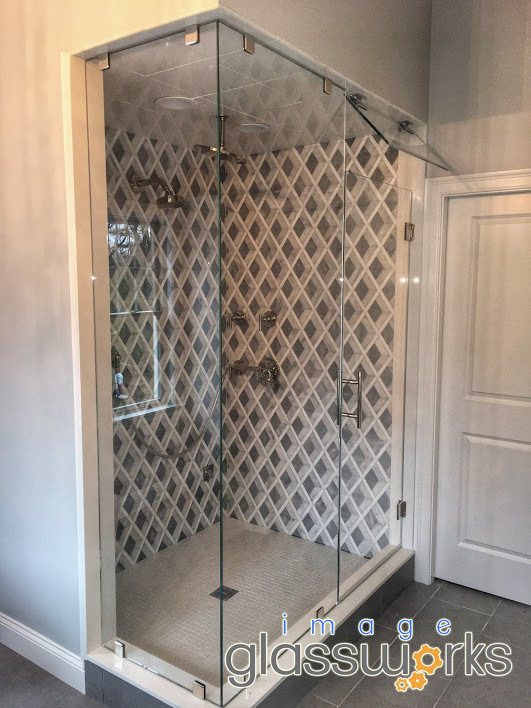 By upgrading from the traditional clear glass to the low-iron ultra clear glass, you are ensuring the tile will look exactly how you picked it. 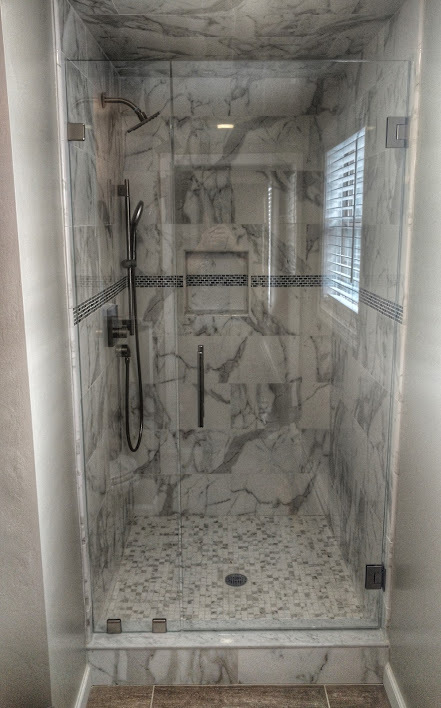 While it does come with a slight cost attached, it’s only a one-time cost, and how many times in the near future are you going to be redoing this shower? The reason you will hear the terms “low-iron” and “StarPhire” sometimes used together is because StarPhire is a brand name of the glass, and low iron is the process used to remove the green tint; they are the same type of glass. Yes yes, we know why you are here. 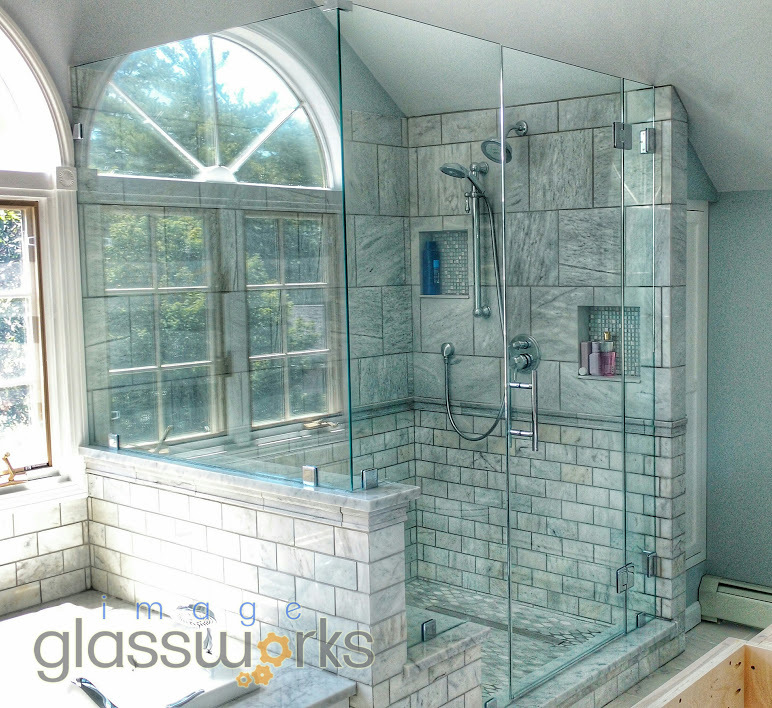 You want to know how much it’s going to cost you to upgrade your standard clear glass with the green tint up to the low-iron ultra clear glass. 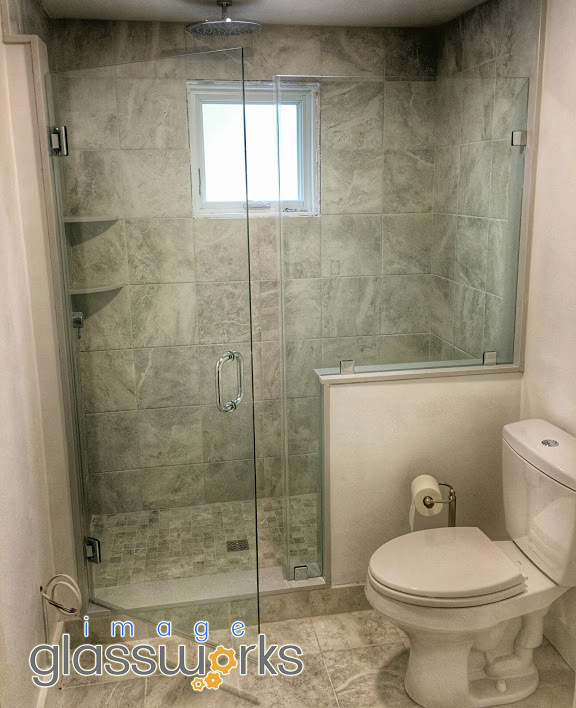 The upgrade cost is mainly based on the overall square footage of glass in the opening. 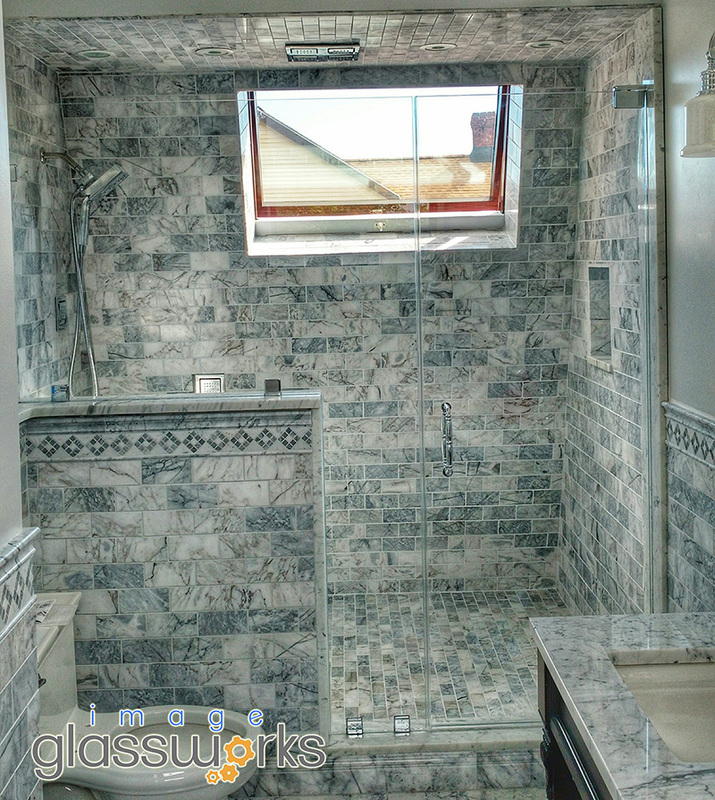 While the square footage of glass is the primary variable, it’s not the final variable. One quick example is on a notched panel, to go up and over a seat for instance, you’d still need to account for the wasted material that was thrown away to create that notch. 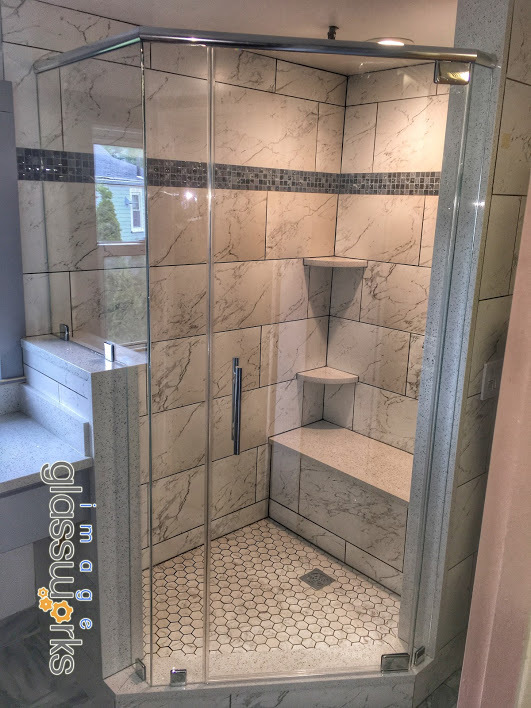 We quote every custom frameless shower door individually with our fabricator and tempering facility, then the pricing we get back is what we use to base your final cost on. 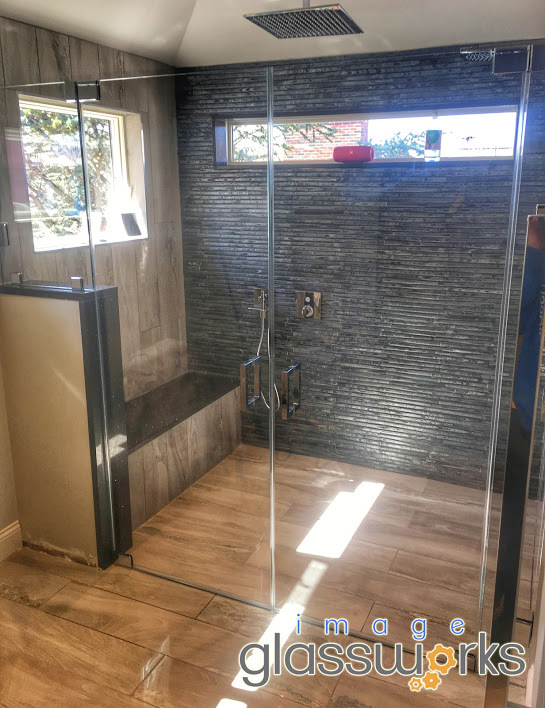 Generally speaking you should expect to be paying somewhere between $10-$15/sqft of glass in addition to the cost of the traditional clear glass. 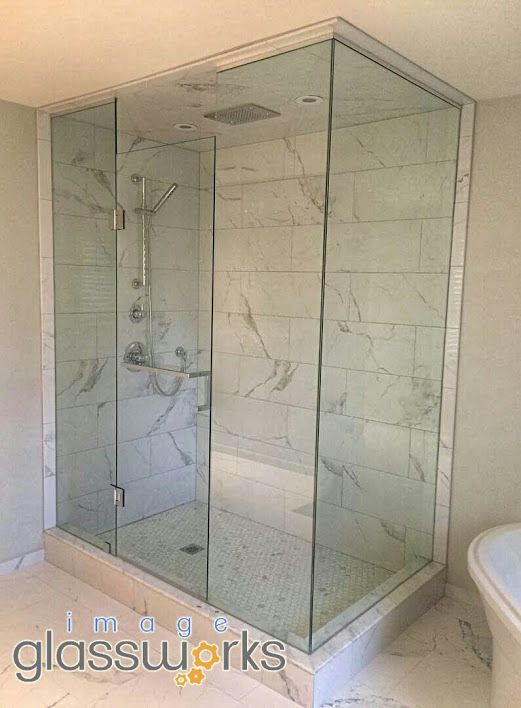 For a 5-foot custom frameless door & panel configuration, the cost of upgrading from clear glass to starphire low iron glass normally ranges between $300-$400. 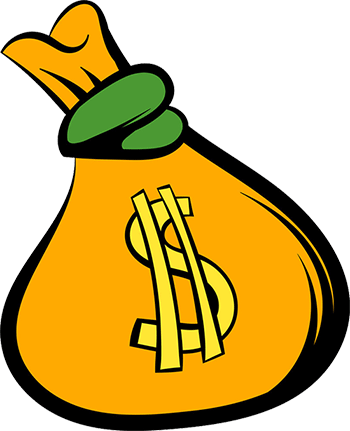 We ask that you please understand the numbers on this page are strictly a reference point. 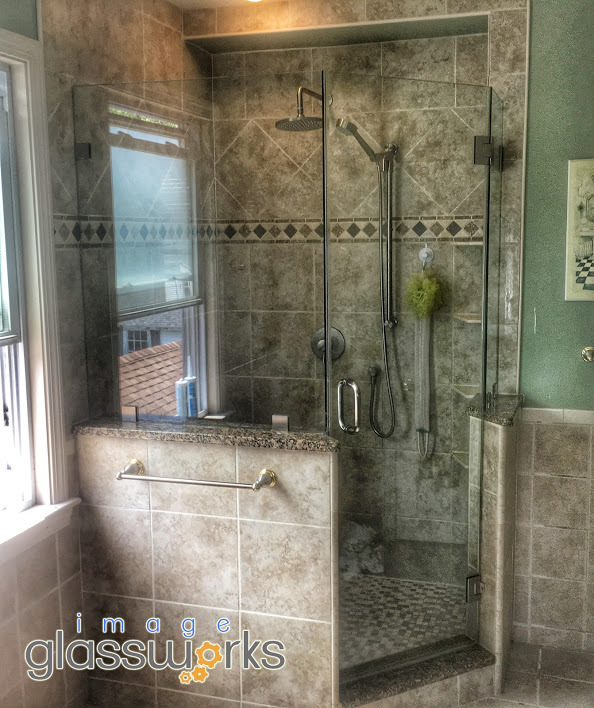 Aside from square footage, there several other factors that affect the final price. The most accurate way to get a final determination on the cost is to have your enclosure quoted with the tempering plant.